A man who was filming some beautiful cloud formations on the island of Hawaii, watched a strange event unfold right before his eyes. By looking at it, you’d have to admit it is something definitely out of the ordinary. But what does the filmmaker say about this sighting? 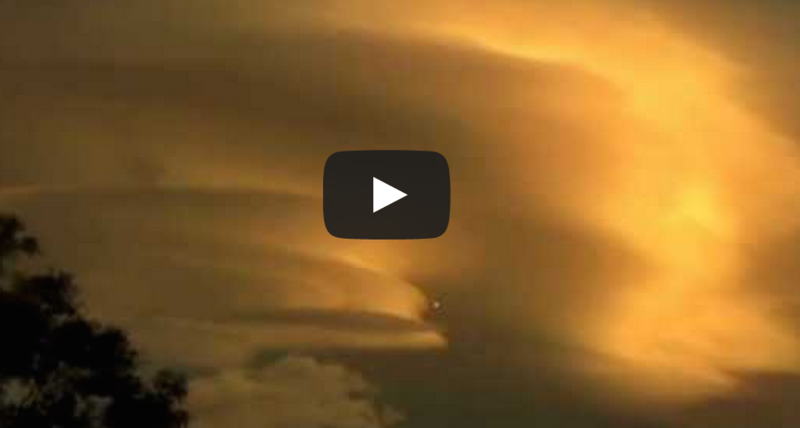 He believes it was a UFO Mothership releasing a drone as he was filming the lenticular cloud. Watch this video yourself. Does it make you a believer? Or is there another explanation for what you see?